As some of you already know, the GSOC project edition 2012 is coming to an end. And along with it, the bootstrap project reaches a checkpoint. This post covers is the news since the last chapter, and discusses about the future steps. In a next post I’ll document the details of the project deliverables. The first product of this project was a renewal of an image serializer: the SystemTracer. 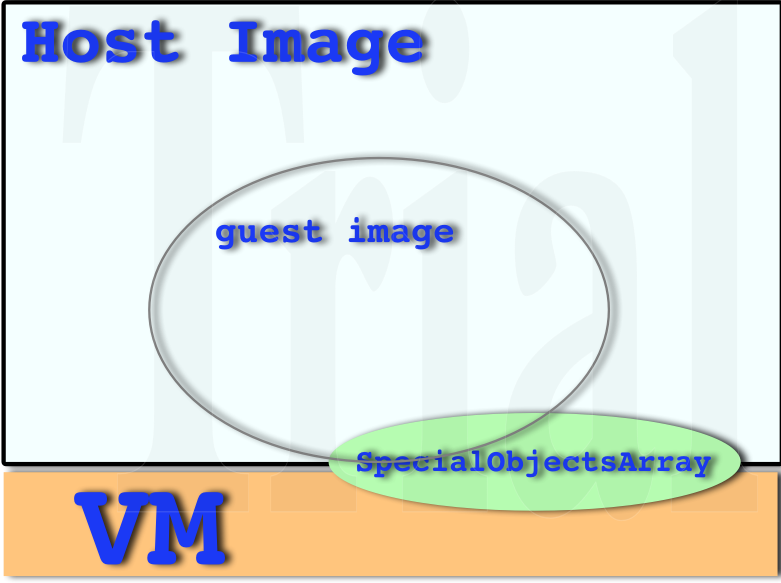 It takes an object graph and serializes it into the image format a vm works with. The System tracer was refactored reifying the memory object formats and updated to write Cog images. The second step was to work on bootstrapping. And it was successful. Hazelnut, the bootstrap process tool, is able to build a smalltalk image from a description. To ensure the quality and health of these newly created images I set up jenkins jobs loading different packages on top of them, and running tests over them. The first one can take the form of source files like in https://github.com/guillep/PharoKernel, which is the source code Hazelnut actually uses to bootstrap Pharo images. The second part of the kernel definition contains some imperative parts, and by now they are declared in simple pharo classes you download from Monticello. So now, the bootstrap loads the kernel definition from those source files, generates the bootstrapped environment, and serializes it into a new image file. choosing the really important parts for a kernel. What should be and what should not in those source files? Where do we package what’s not going kernel? building pharo from bootstrapped images. Even, when looking at the upcoming pharo changes like first class slots and class layouts, or the new Tanker package manager, the bootstrap will need for sure some updates. I hope this project makes pharo grow and get better! We can now generate images with the source code defined statically in source files, so for the GSOC program the scope has been fulfilled. See you in a next post documenting the project! This entry was posted in GSOC, Pharo, Smalltalk and tagged Bootstrap, crazy project, GSOC, modularization, Pharo, Smalltalk, smalltalk environment on August 22, 2012 by Guille Polito. Have you ever evaluated this pieces of code in Pharo? Metaclass class class = Metaclass. Wait, WTF? How is that ProtoObject superclass is nil? Wait again, and the one of it’s superclass is Class? Metaclass class is an instance of Metaclass? Hey, that’s kind of the chiken and the egg problem, which one was first? You know that when you create a class, you specify a superclass for it. This superclass will specify some other properties and the VM will use it to perform the method lookup. Funny thing about this implicit metamodel, is that a second class hierarchy is built in parallel to the original class hierarchy. Now, if you think about this, you can understand why the method lookup works also in the class side methods, and they are not static like in Java or C# :). aClass superclass class = aClass class superclass. aClass class class = Metaclass. Which of course have it’s exceptions. The method lookup ends when it reaches a class whose superclass is nil. And the class side objects also behave like a Class, because they finally inherit from Class. HA! But then the metaclass hierarchy re-enters the non-metaclass hierarchy. Thinking of this in an operational way is kind of meta confusing, isn’t it? But this is not the motivation of this post. The motivation is this: Are we really coupled to that meta model? How can I create my own? that it’s first instance variable is it’s superclass. that it’s second instance variable is it’s method dictionary. that it’s third instance variable is it’s format. "This metaclass defines how our metaclass instances will be. It is only here to define the first metaclass format, and it will be discarded"
metaclass instVarAt: 1 put: Metaclass. metaclass instVarAt: 2 put: MethodDictionary new. metaclass instVarAt: 3 put: metaclassFormat. metaclassClass instVarAt: 1 put: Metaclass class. metaclassClass instVarAt: 2 put: MethodDictionary new. metaclassClass instVarAt: 3 put: classFormat. Once you have a metaclass, instantiate it to create your class, and instanciate it to create your little object! That’s crafting Smalltalk using Smalltalk. Well, that is bootstrapping the meta model :). 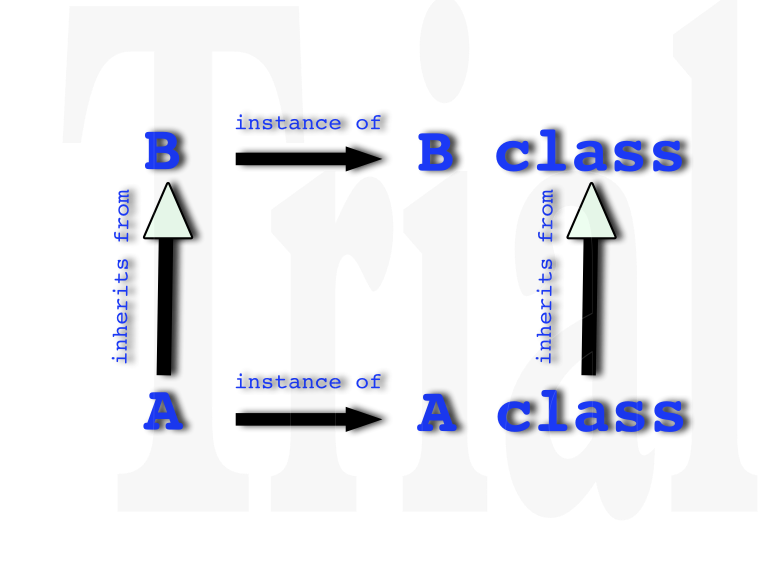 The only ugly thing is that in order to create a new meta model with different instance variables, you have to create a transient class in the middle, because the VM does not like to have objects with a format X, whose class defines a format Y… So the hack just solves the format problem :). Now you can think about simpler stuff like a class instance of itself, subclass of nil. Or more complex one :). This entry was posted in Smalltalk and tagged class hierarchy, meta model, Smalltalk, smalltalk environment on June 17, 2012 by Guille Polito.